Do you have a high altitude trip planned soon? Maybe you live at a lower elevation, but are going backpacking, skiing, or rock climbing at higher elevations. There are a few things to know to make your trip more enjoyable. 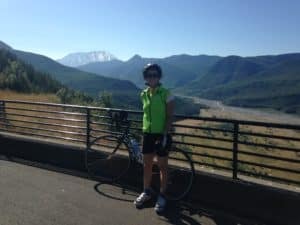 Planning ahead and knowing how your body responds to altitude can make the difference in feeling amazing or not being able to finish what you started. What does “thinner air” mean? As you go higher, the air is “thinner.” This means oxygen molecules are spread farther apart than at sea level. What does that mean for your body? For each breath of air you inhale, less oxygen is delivered to your tissues. Weight loss is a concern when spending a lot of time at high altitude. Even if you’ve been wanting to shed that extra 15 pounds, now’s not the time. You want your body to get enough energy to fuel your adventure. If you’re losing weight on your trip, that is a sign that you need to eat more. Eating more calories can be helpful to aid your body in adapting to altitude and exercise. It can also help your immune system, which can be compromised at higher altitude. Your body also needs more carbohydrates at high altitudes. Adrenaline, noradrenaline, and cortisol are all elevated with exercise at altitude. These hormones increase the use of carbohydrate for fuel. Carbohydrate is also your body’s preferred energy source, especially at high altitude. Researchers recommend at least 60% of your intake be from carbohydrates. This can be done by eating foods and drinking fluids that contain carbs. There isn’t a lot of information about protein intake at altitude and how it may affect muscle growth. It’s probably safe to assume that you’ll need at least as much protein at a higher elevation that you would at sea level. Eating about 20-30 grams of protein after exercise and enough overall protein throughout the day is probably sufficient. Like protein, we don’t know a lot about ideal fat intake at higher elevations either. But high-fat foods tend to be higher in calories, which is good for eating enough overall calories to prevent weight loss. You want to start your trip with adequate iron stores. Attempting a high-altitude adventure with low iron stores will leave you feeling fatigued. If you are planning a high-altitude climb, or climb at high altitude frequently, it’s worth checking your iron. Go to a physician at least six weeks before your trip and ask for some blood work to be drawn to test your iron stores. If you have any abnormalities, talk with your doctor and/or sports dietitian about supplementation and adding iron-rich foods into your diet. 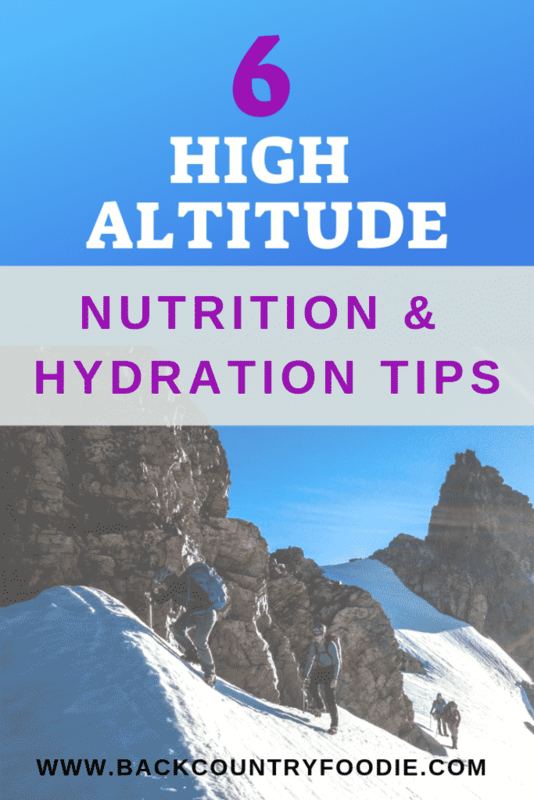 At high elevations, it is easier to become more dehydrated (which is a bad thing) because your respiratory and urinary water losses are greater. This translates into less overall blood volume in your body. Which means your heart rate may increase, but cardiac output (the amount of blood pumped by the heart per minute) decreases. This means for each heartbeat, your muscles and other tissues aren’t getting the same blood and oxygen delivered to them that they are used to. Heat regulation also becomes more difficult. According to one study, there is about a 3% decrease in exercise capacity for every 300 meters above 1500 meters. 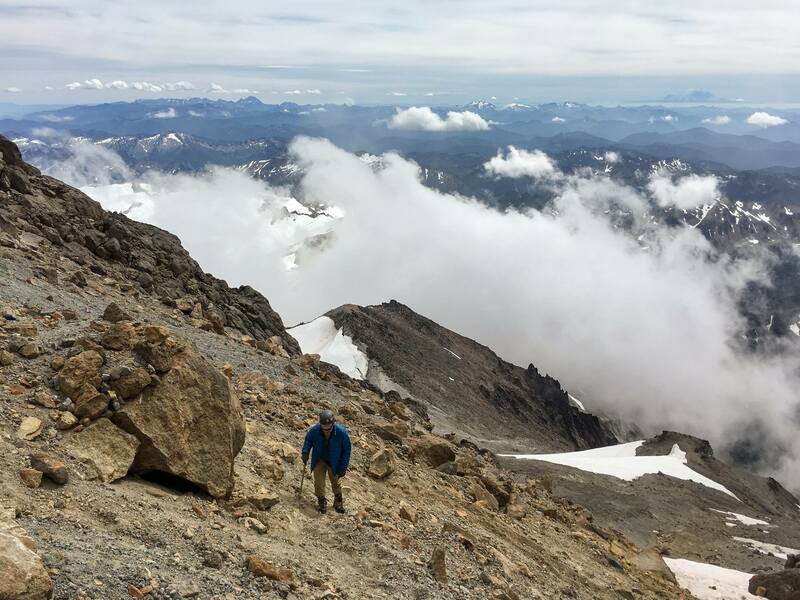 Imagine trying to hike a tough route at high altitude when you’re not used to it. Perceived effort is increased. To make matters worse, usually sleep is compromised at high altitude as well. Drinking enough can help you feel better. How much and what types of fluid should I drink? Fluid needs are around 3-5 liters per day (that’s about 13-21 eight-ounce cups). This is a lot, especially if you struggle drinking enough in general. Some studies have shown that drinking a beverage that has carbohydrate and electrolytes (like sports drinks) are better at hydrating than water alone at altitude. You need extra fluids because of increased fluid loss through respiration and sweat from dry air. There’s some evidence that good sleep patterns and adequate hydration can help prevent symptoms of altitude sickness. Drink regularly and don’t rely on thirst, as this might not be a reliable indicator of how often you need to drink. With a little extra attention to your food and fluid intake, your high altitude adventure can be successful. Beat fatigue and dehydration by remembering to consume extra calories, carbohydrates, protein and fluids. Ready to start meal planning for your next big adventure? Check out our Backpacking Meal Planning Tips and Backpacking Nutrition Tips Pinterest boards for loads of reliable information as we’ve reviewed the content of each post for accuracy. Disclaimer: This is general nutrition advice and you should talk with your physician before implementing any dietary or lifestyle changes. Marisa Michael, MSc, RDN, LD is a sports dietitian and personal trainer. She has a private practice helping athletes and active people achieve better health and performance through nutrition. She is available for one-on-one consults, speaking, and writing gigs. You can book a virtual appointment online at www.realnutritionllc.com Follow her on Instagram @realnutritiondietitian for LEGO-inspired nutrition tips. Kechikan, D. (2011). Optimizing nutrition for performance at altitude. Journal of Special Operations Medicine, 11, 12-17. Ladd E, Shea KM, Bagley P, Auerbach PS, Pirrotta E, Wang E, Lipman GS. (2016). Hydration status as a predictor of high-altitude mountaineering performance. Cureus, 8(12): e918. Thanks for this. I doubt I’ll be getting this kind of elevation anytime soon, but it’s still good info.